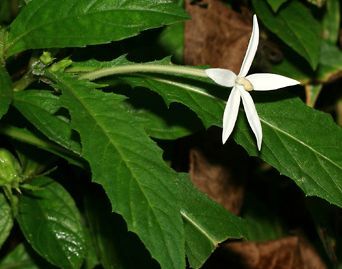 Hippobroma longiflora, called Madam Fate, is native to West Indies. The flowers are 14 cm long, tubular, and star-like. The leaves are green, sessile, oblanceolate, and pinnately lobed with pointed, toothed lobes.